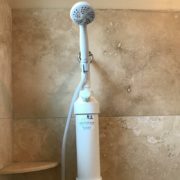 WaterSticks is the inventor of The ShowerStick Shower Water Softener. The ShowerStick works via Ion Exchange as a whole house water softener does so it removes hard water minerals such as calcium, magnesium and iron from water. It’s easily regenerated with common table salt and can provide relief to people who suffer from dry itchy skin and dry brittle hair. It can also benefit those who have skin conditions such as eczema, psoriasis, and seborrheic dermatitis. And if you want your hair color to last longer, soft water is a great solution! 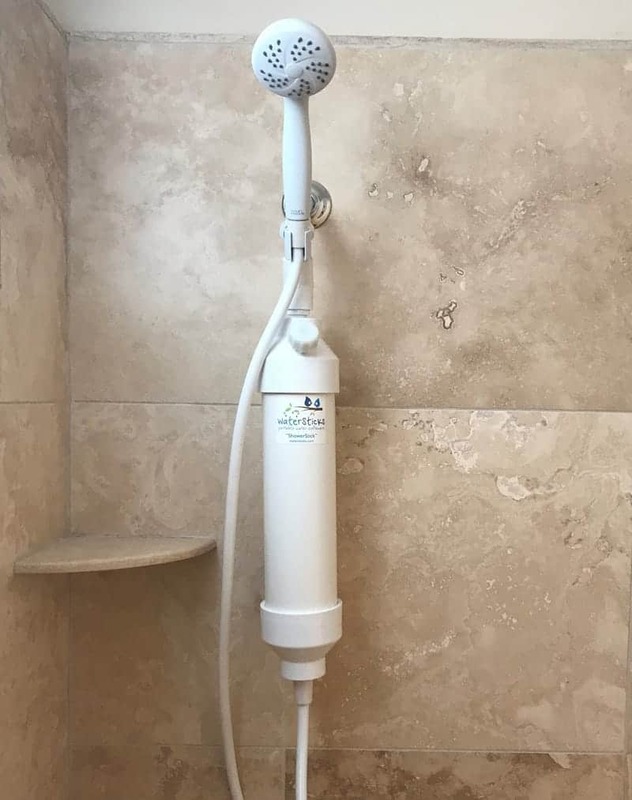 A KDF shower filter is available as an option and can be installed in-line with the ShowerStick to remove chlorine and other contaminants which will benefit you and prolong the life of the resin. Our RV Stick is a portable RV Water Softener that is perfect for full time RVers and campers. It can be used to continuously provide soft water in your whole RV or to fill your fresh water tank when you’re on the go. And if you’re looking for a spot free car or RV wash then check out our Softener Deionizer Stick. It contains both deionizing resin to remove Total Dissolved Solids (TDS) and softening resin to remove hard water minerals. In order to achieve spot free results, the water needs to be both softened and deionized. The $70 Mini Stick Softener is a Portable Water Softener which is a smaller version of our RV Stick Softener. It’s useful for various projects that require smaller amounts of soft water such as washing your dog or other animals in a utility sink or outside with a hose, filling up a humidifier, carpet cleaner or patio misters. 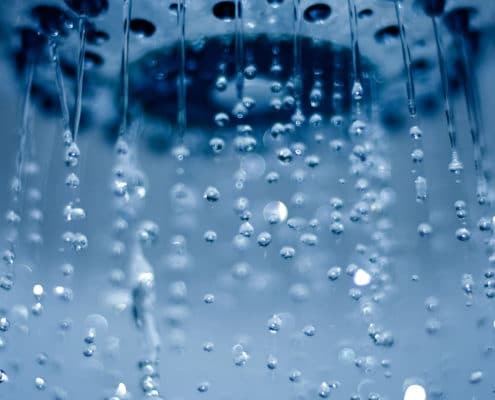 It’s a true water “softener” since it removes hard water minerals such as calcium, magnesium and iron which are known to cause dry skin and hair. So the water from the ShowerStick shower water softener will test as soft water when using a hard water test kit. But the water from a shower water filter won’t test as soft since it isn’t capable of removing hard water minerals (see for yourself by using a hard water test kit). This is why many people who first try using a shower filter alone don’t end up happy with the results it gives. 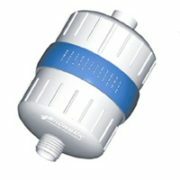 For a more in-depth explanation regarding why shower filters don’t soften water, please follow the link: Does a shower filter soften water? To get the best results, you need to soften the water. There are of course benefits to using a shower filter which is why we offer a KDF filter as an optional accessory to be installed in-line with the ShowerStick. 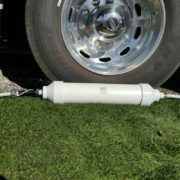 Our portable RV water softener is called the RV Stick. 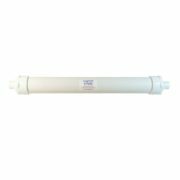 It’s designed to soften the water supply in RVs and can easily be installed inline with your water supply or to fill your fresh water tank. 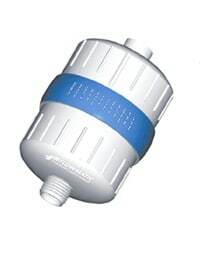 It can also be used to soften water in boats, carpet cleaning machines, spas or Jacuzzi, patio misters, humidifiers, espresso or cappuccino machines, aquariums, etc. It’s easy to connect with water hose fittings (included) to any water hose (not included). It can be installed and used in any position (other softeners must stand upright) and the water can flow through it in either direction. Unlike other water softeners you cannot lose your resin and contaminate your RV’s water tank or water lines by hooking it up backwards (accidental back flow will not cause any problems). The resin can be regenerated easily with salt water. The Softener Deionizer will both soften and deionize the water to give you spot free results when washing or rinsing cars, RVs, boats, solar panels, windows, motorcycles, airplanes, trucks, boat isinglass, surgical instruments, etc. No more hand drying! For completely spot free results, the water needs to be both softened to remove hard water minerals AND deionized to remove TDS (Total Dissolved Solids). Softened water will leave some spots but softened AND deionized water will leave no spots. The Mini Stick is our smallest water softener so it contains a smaller amount of resin. This means it will need to be regenerated more often than our larger softeners. Using the hard water test kit (included) will help you determine when regeneration will need to be performed. 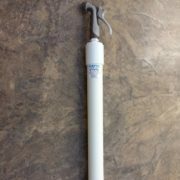 If you’d like a larger version of the Mini Stick so you won’t need to regenerate as often, please see our “Portable RV Water Softener”. The Mini Stick and the RV Stick are the same other than the size and therefore the volume of resin inside. The Portable is 4 times larger than the Mini Stick so because it has 4 times more resin, it will last 4 times longer before needing to be regenerated. https://watersticks.com/wp-content/uploads/2017/08/1208075186_3af3f19051_o.jpg 1465 2190 vincesilva https://watersticks.com/wp-content/uploads/2019/04/WaterSticks.png vincesilva2017-08-02 01:48:262019-03-27 16:20:57How Soft Water Can Benefit You! https://watersticks.com/wp-content/uploads/2017/08/KDF-Filter-white-background-WaterSticks.jpg 254 200 vincesilva https://watersticks.com/wp-content/uploads/2019/04/WaterSticks.png vincesilva2017-08-02 01:44:332019-04-16 01:32:59Does a Shower Water Filter Really Soften Water?